Do you aspire to become a Data scientist? Do you want to move into a high paying career of machine learning & data science? Do you dream of a better career & life? If you answered“Yes” to any of the above question, you need to enroll in this course for Machine learning & data science. Use this section to install necessary packages and invoke associated libraries. Having all the packages at the same places increases code readability. dplyr It is used for subset selection and applying actions on the datasets like applying filter, reorder etc. 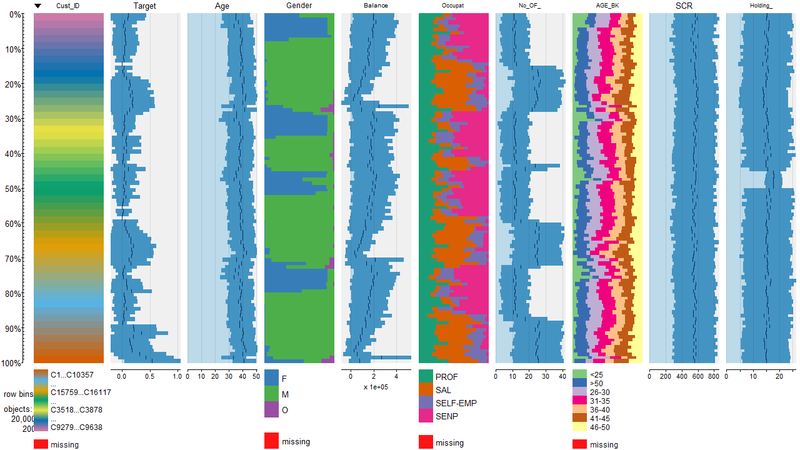 nlme Fit and compare Gaussian linear and nonlinear mixed-effects models. onewaytests Performs one-way tests in independent groups designs, pairwise comparisons, graphical approaches, assesses variance homogeneity and . Setting a working directory on starting of the R session makes importing and exporting data files and code files easier. Basically, working directory is the location/ folder on the PC where you have the data, codes etc. related to the project. Please refer to Appendix A for Source Code for more details on how to set working directory in R.
The given data set is in .csv format. Hence, the command ‘read.csv’ is used for importing the file. To Conduct two-way ANOVA analysis on gender and occupation on quarterly average balance. 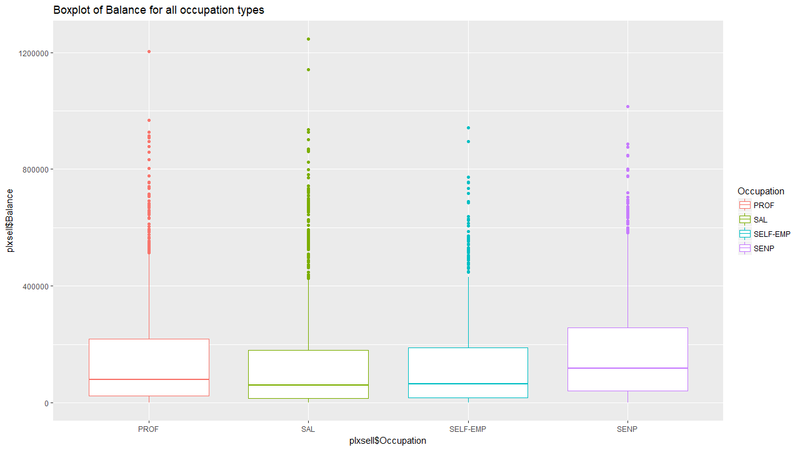 Alternative Hypothesis (HA): µ of all occupations is not equal i.e., at least one of the means is different from the rest. Normality is tested by Shapiro test. First create a subset with 5000 rows and then apply shapiro test. Homogeneity in variance across the categories in the factor variable is tested by levene Test & Bartlett Test. Problem– one-way ANOVA analysis to study whether occupation of the account holder affects quarterly average balance in the account. Inference– Anova analysis shows that F statistic is highly significant therefore the occupation of the account holder do not affect the quarterly average balance. 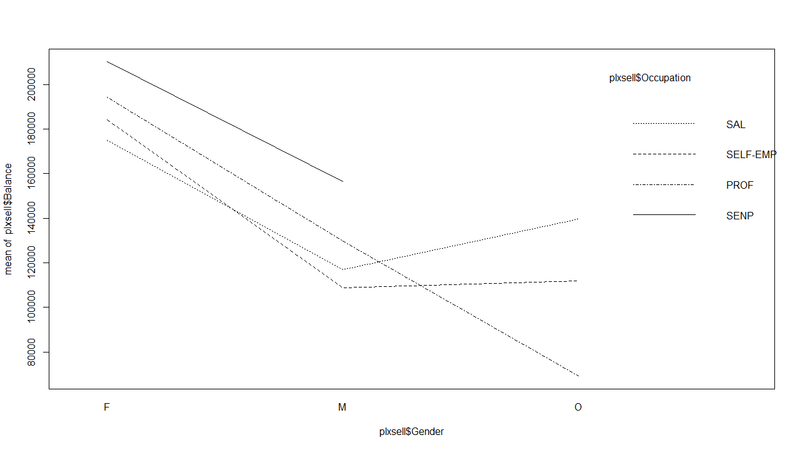 Problem- Conduct two-way ANOVA analysis on gender and occupation on quarterly average balance. Two way ANOVA analysis used for more than one factor. In this case, we have occupation & gender. The homogeneous variance across the groups is also violated. F-statistic of the ANOVA does not get affected by much if there is balanced data. 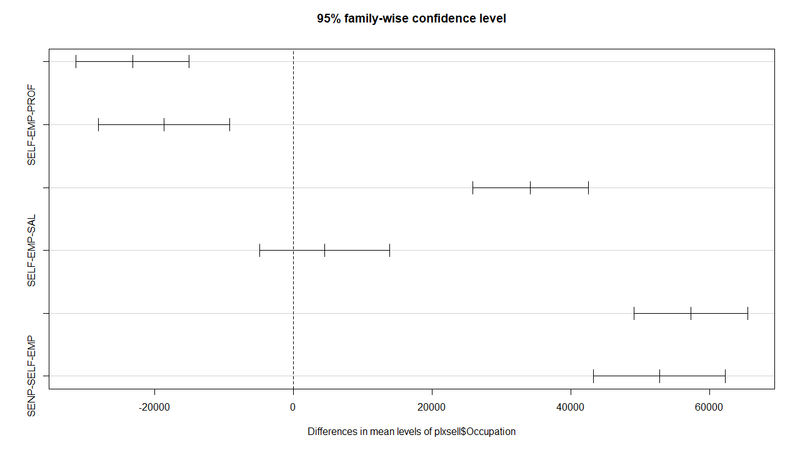 The results of both one-way and two-way ANOVA are robust to violations of assumptions as the p-values for both occupation and gender are closer to zero.